Wedding planning just got a whole lot easier. 1 Month. 6 Events. 45 Pictures. In the last 30 days, we’ve attended a LOT of events. Seen a lot of beautiful wedding clothes, discovered a few new wedding vendors, and even read a book on bridal fitness! There’s no dearth of wedding madness in our life, it seems 🙂 Endless, I tell you. Endless! I started the day with publishing a post that had been working on for over a month – about blogger Anushka’s white wedding gown that I had fallen in love with back in March. Sometimes, posts take a long time to come together, and I was incredibly relieved & excited to finally share her story with my readers. I left office early to make way to Sue Mue’s new bridal collection launch event at Green Park that was supposed to start at 5.30 pm. 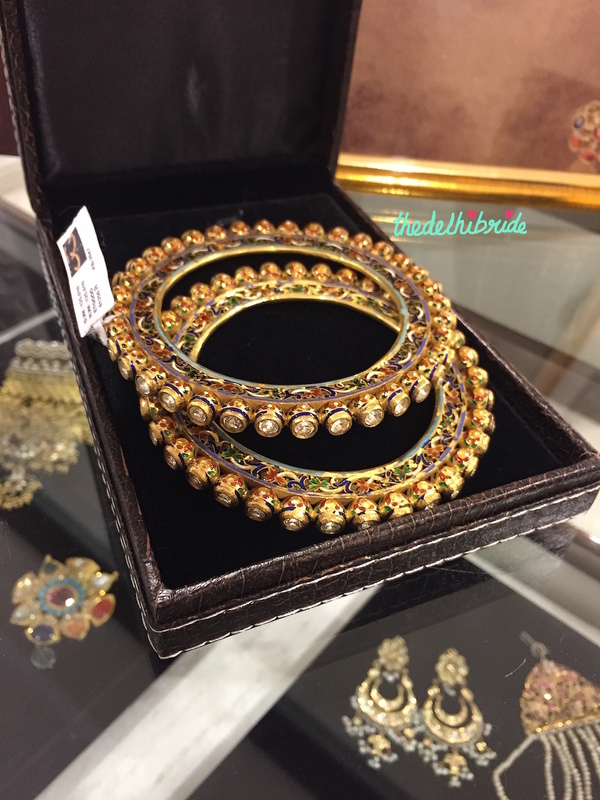 I’ve crossed this store many times in the past, but because it’s located in the middle of Green Park market – the last place on Earth one would imagine to come across a sophisticated trousseau destination – I had never stepped in. Well, the store has had a makeover, and a new collection was in store. 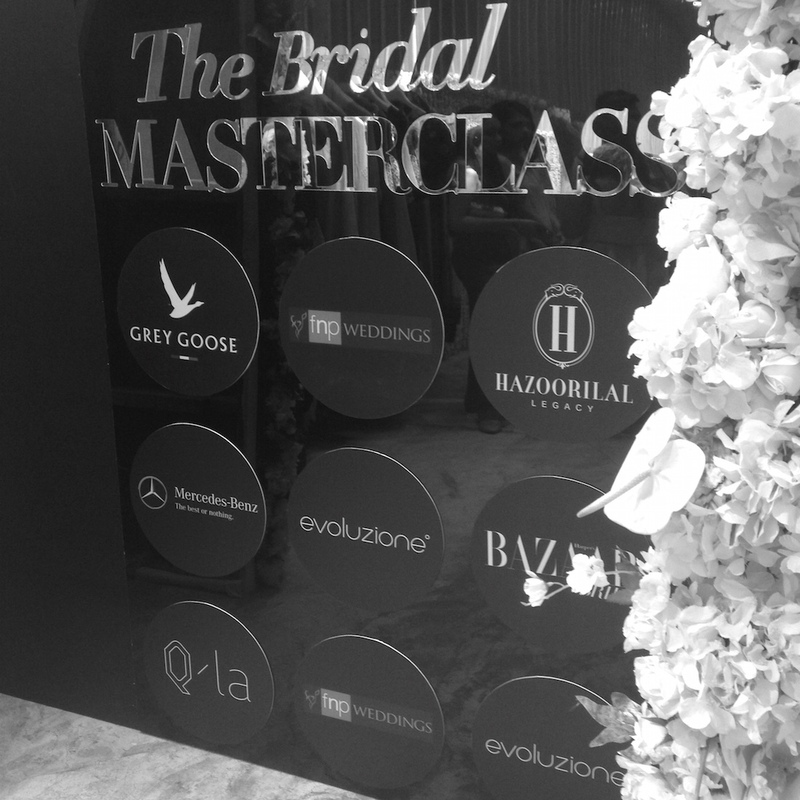 I explored their Autumn/Winter 2015 bridal range, while chatting with old and new blogger friends and, of course, Snapchatting the entire event. 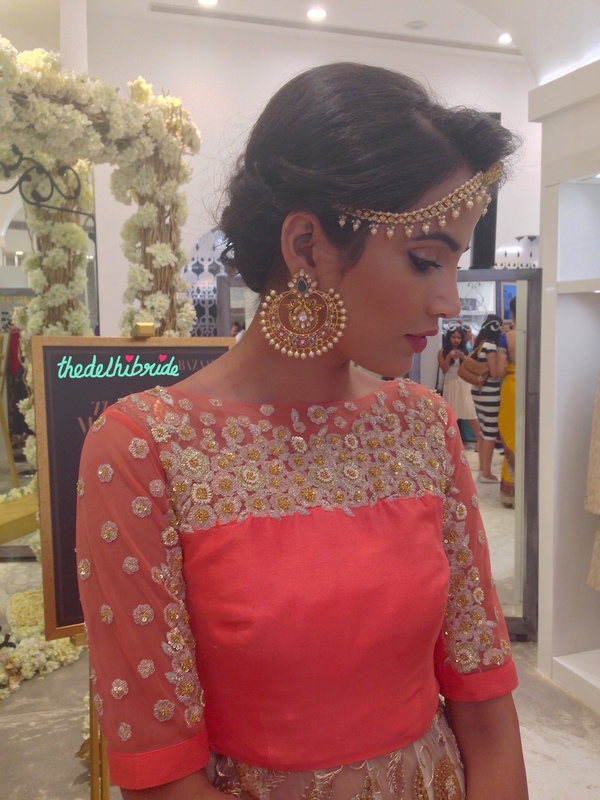 My username is thedelhibride – and if you’re on Snapchat, add me! 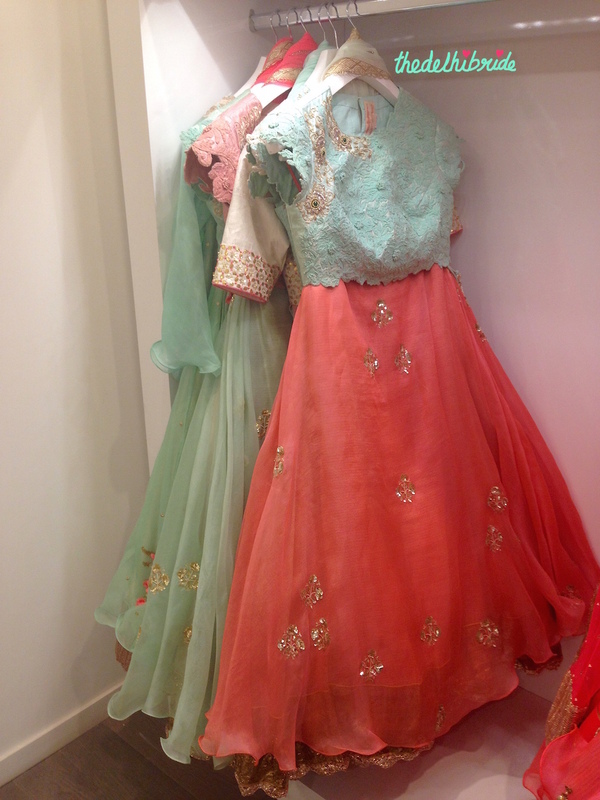 This raw silk anarkali in green was my favourite outfit at the store. 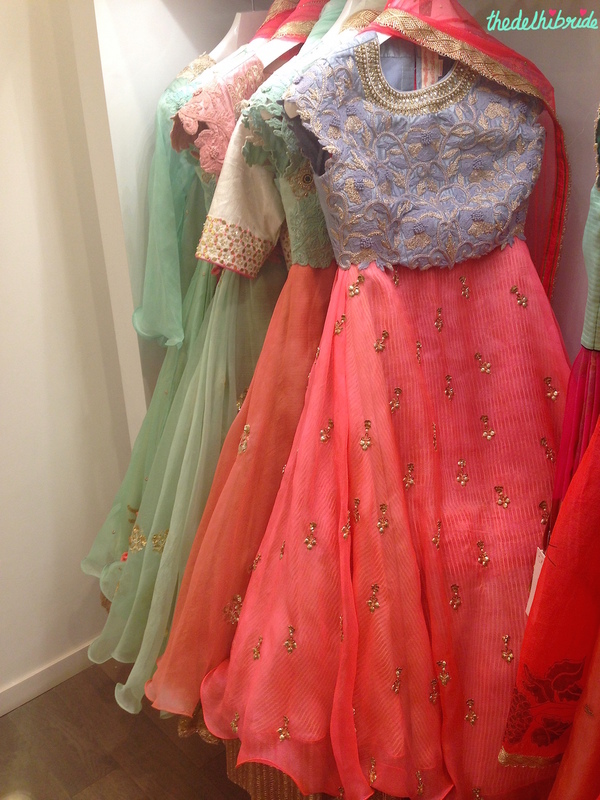 Lightly embellished, it’s actually perfect for the bride or groom’s sister to wear to the Sangeet or Reception. Loved this blouse, and the embroidery on all Sue Mue’s outfits is impeccable. Vidya Tikari showed us a few makeup trends. I loved the perfect golden eyeshadow with thick eyeliner she demonstrated on this model – ideal makeup for brides on their wedding day! For the perfect peachy pout, Vidya suggested using Kryolan Lip Stain (Jazz) and it looked so pretty on the model, I noted it down in the “Makeup Wishlist” file on my phone. I took an 8 am flight to Mumbai. 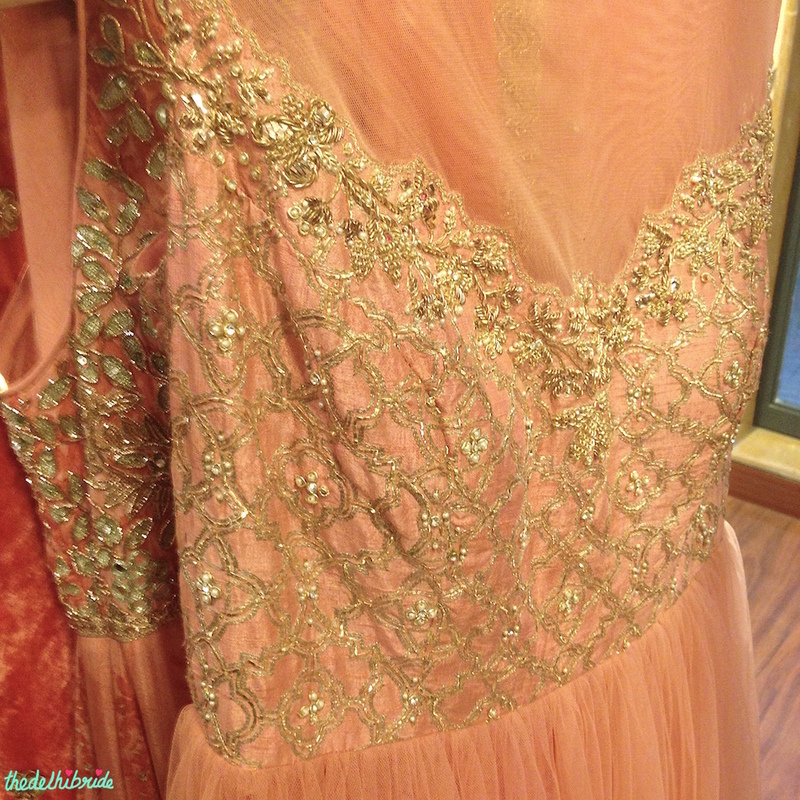 I was there for a day for a photo shoot at JADE’s M&K Couture Studio in Lower Parel. I’ve already taken you inside the store in my post, but here are a few behind-the-scenes captures that didn’t make it to the blog. At first, I didn’t like this blouse. But as I kept looking at it, I started to warm up to it. It’s a pretty unique style, and I love the colours. 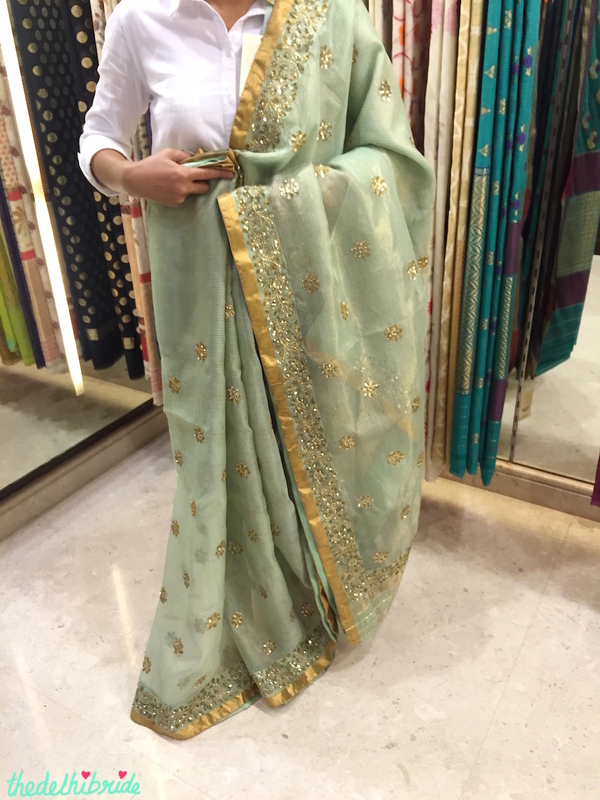 For a bride who wants to make a fashion statement, this should work pretty well. 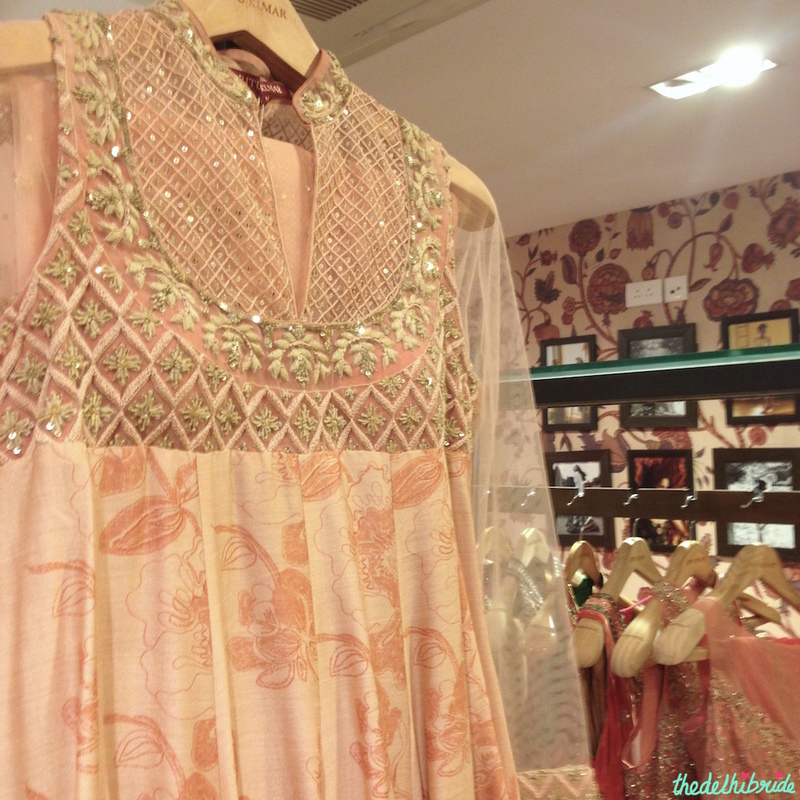 This was one of my favourite outfits at the store – it’s an ivory and gold anarkali gown. When we zoomed in on the details, it continued to look spectacular, and I knew we had found the right gown to feature in the post. Since the studio’s walls are full of mirrors and artwork, we spent a lot of time finding the right backdrop to photograph the model in front of. We really wanted the colours to be visible in front of a clean background. Finally, the photographer suggested using this tiny section of a clear wall in the corner. My photographer turned out to be a junior from my college. After the shoot, we had a good time catching up on how things have changed in college since we’ve left, and both of us ended up feeling pretty old. This is a picture of him taking a picture. Always wanted to take one of these. DONE! This was one picture we both swooned over. We loved how the light blurs out the corner just a bit, adding an unintentional artistic element to the photograph. A much-deserved unwinding session sitting at Marine Drive at the end of a hard day’s work. I wish I could do this every evening. I was in some serious need of re-fuelling, as I hadn’t visited Mumbai in a long time. And there was nothing better than relaxing with my bestie at the Bay. She took me out for dinner to a Chinese restaurant in Colaba, and we pigged out on prawns and corn cheese. We filled up on the appetisers and so had to say no thank you to the main course. A cute invite had made it’s way into our office a few weeks earlier, and we couldn’t help but be intrigued. I had fallen ill by the time August was wrapping up. I barely managed work those days, and once again, my team-mate came to the rescue! 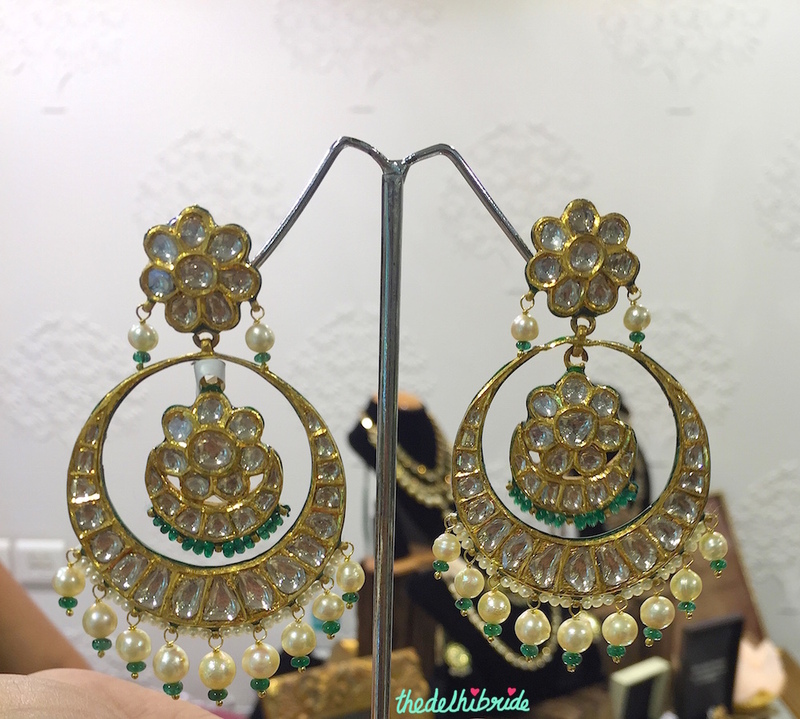 She visited the Vidhi Singhania and Neety Singh event, where she spotted a pretty sari and some polki jewellery. While I was sick in bed, I managed to keep an eye open and look through all the pretty outfits that were making their way onto the ramp at Lakme Fashion Week Winter/Festive 2015 in Mumbai. 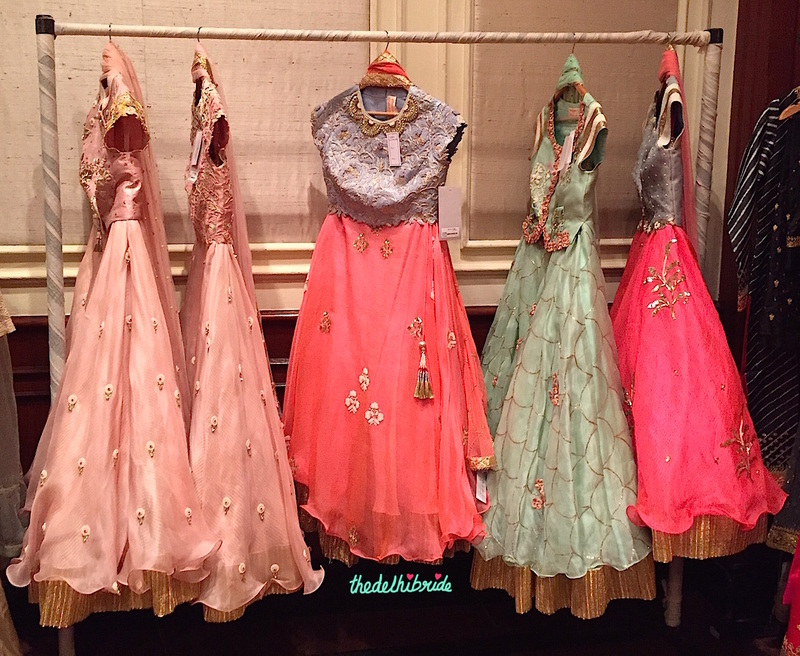 We browsed through all the pictures, and took 2 days to put together a post on the Best Bridal Buys from LFW. The edited pictures from the JADE shoot had come in, and I was feeling a little better by now. So I finally got off my bed, and sat in my mom’s house all day to write the post in between steam sessions and endless bowls of hot soup. I was quite happy with the way the post finally turned out. I was fully back in action now, and thank God for that. This time of the year is when most wedding exhibitions and events kick off, and it’s a horrible time for a wedding blogger to fall sick! 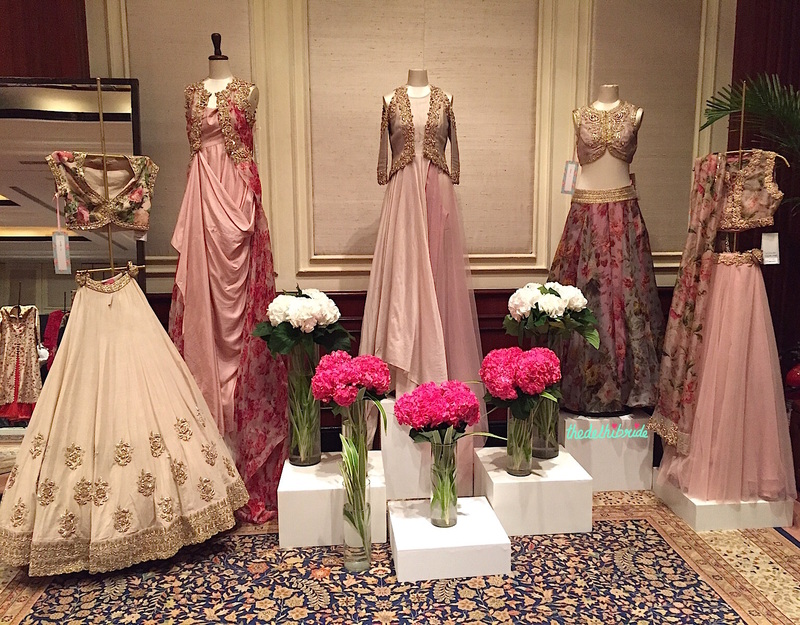 We spotted that Ogaan was having an exhibition at The Oberoi, and decided to make a spontaneous visit. The designer list was most tempting. 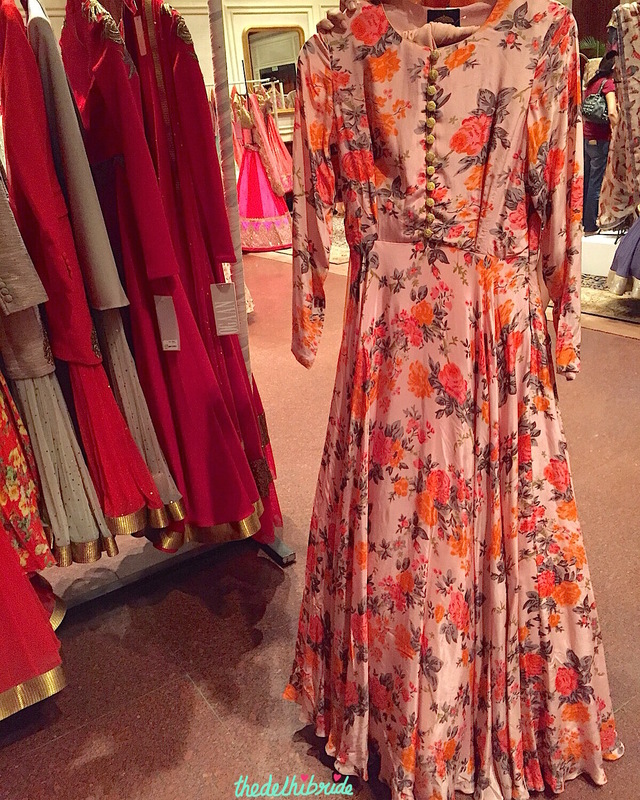 Gorgeous Anushree Reddy outfit after Anushree Reddy outfit was on display, and we just couldn’t get enough of all the floral beauty. 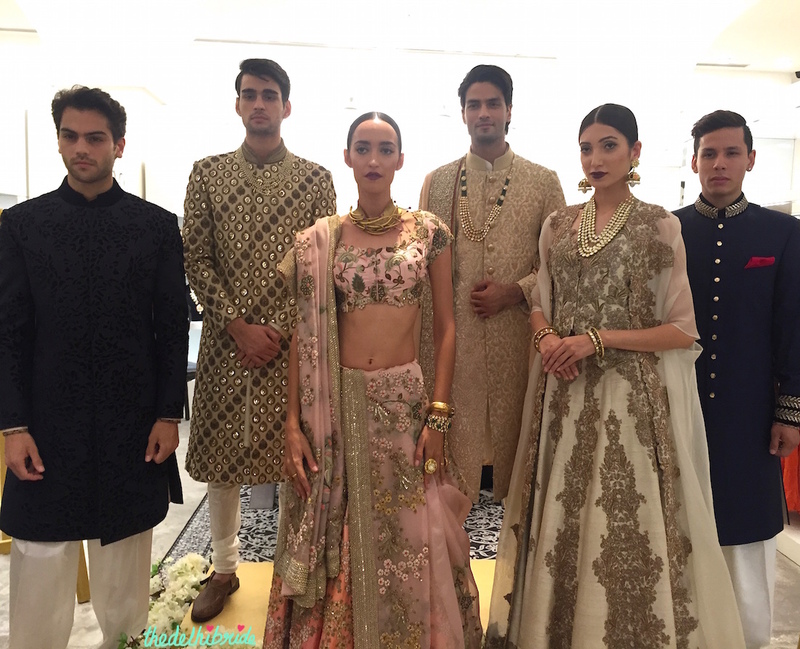 Her new Lakme Fashion Week collection was here, as was my favourite from the collection (the ivory plain lehenga with a gold border and floral blouse). 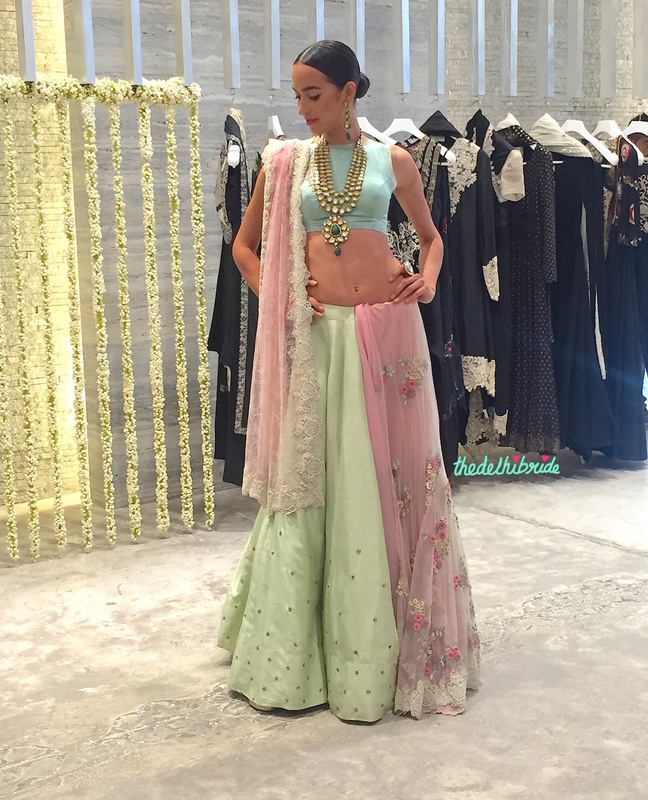 If I had to pick my favourite collections of the day (other than Anushree Reddy), I’d have to go with Yashodhara’s pastels, Bhumika Sharma florals and Anjul Bhandari’s exquisite neutrals. 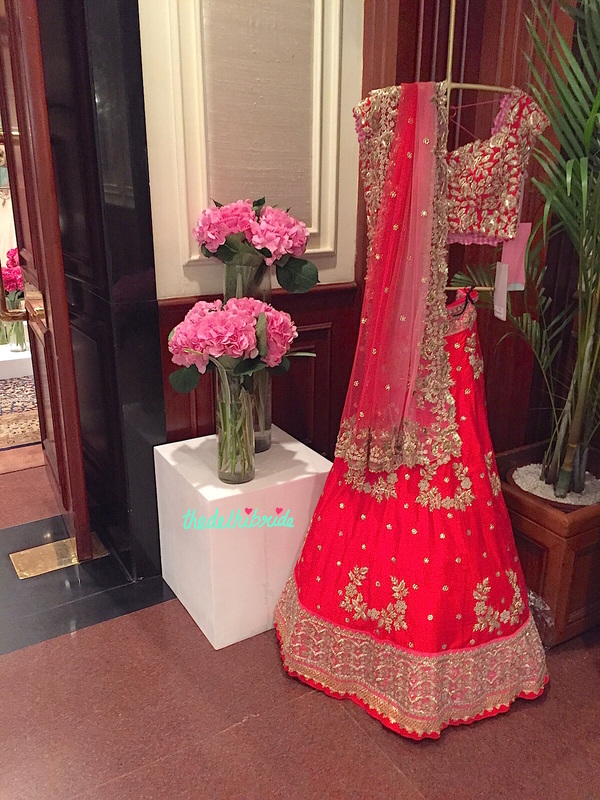 Bhumika Sharma – this floral anarkali is something I’d wear to my cousin’s Sangeet. Yay or nay? 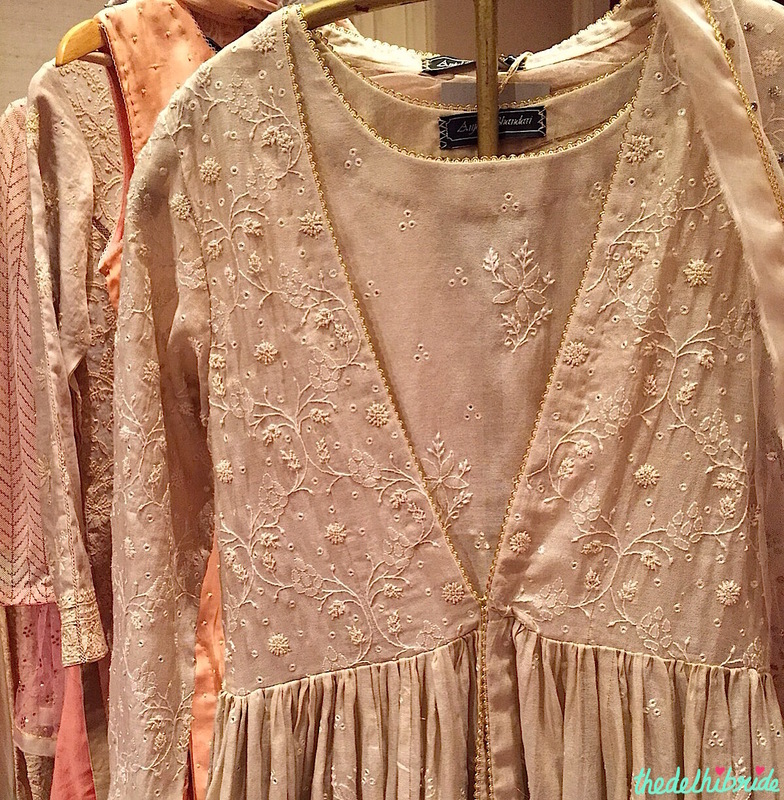 Anamika Khanna – I loved the teapot motifs! 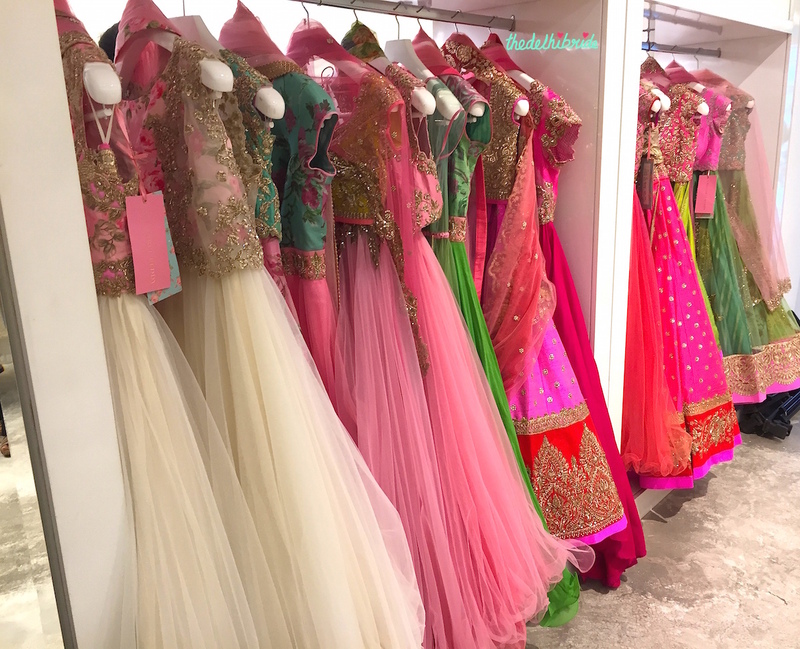 We ended the day with publishing a post on where you can buy all these beautiful Anushree Reddy outfits (including international locations) in case you missed out on this exhibition. Since we’ve become a team of two, we’ve been able to write a lot more. It’s rare for us to publish 3 posts in a week, but this was the week that magic happened. We put out a post on the Best Of Weddings This Week – a fun, light read that we hope will be a place for us to share all the little wedding-related things we discover each week (or month) with our brides. 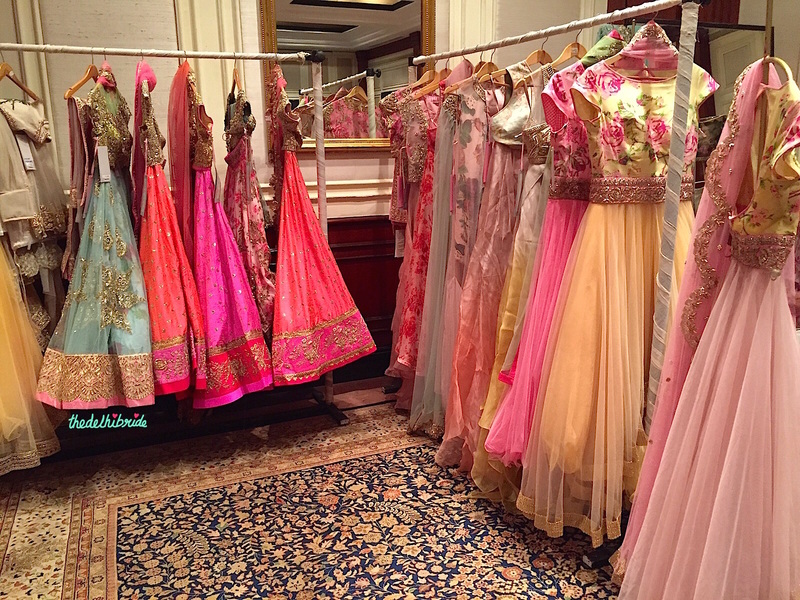 I was itching to write a post on this beautiful collection of lehengas and anarkalis by a designer I had recently discovered, but all the excessive writing had left me feeling a little drained. So I got out of the office, bought my favourite ravioli from Big Chill and sat with a book I had bought on my New York trip last year. I knew it had beautiful writing, and I was in need of some major inspiration. Sometimes, all you need is a good book. 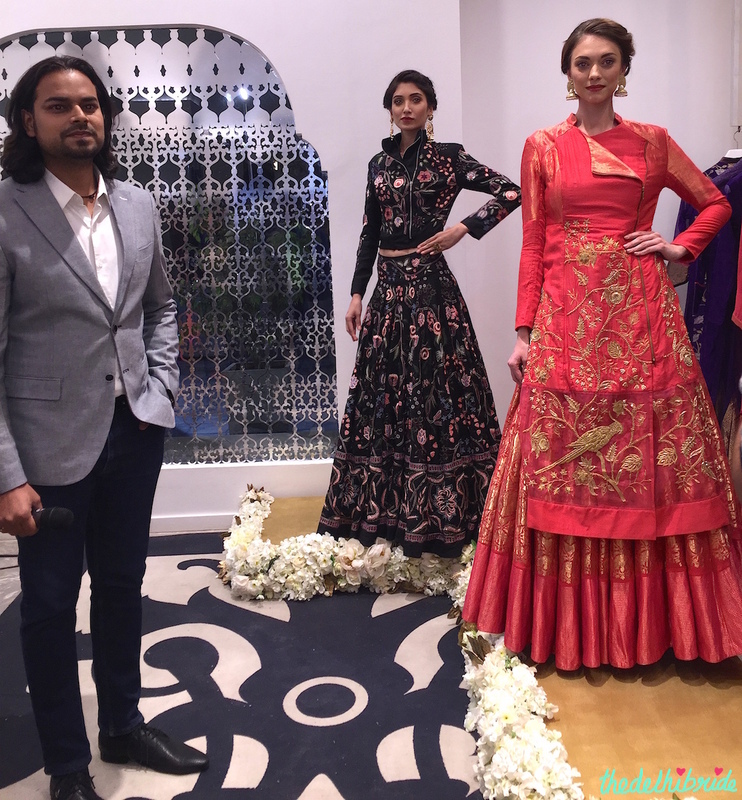 Reading the book worked, and I began the day by writing the final edit and publishing a post I had been wanting to share for over 2 months – on Abhinav Mishra’s store in Shahpur Jat. In the evening, I had an event to attend. We had recently gotten our hands on an early copy of The Bridal Diet, a new book by nutritionist Nishi Grover on advice for brides who want to get fit. 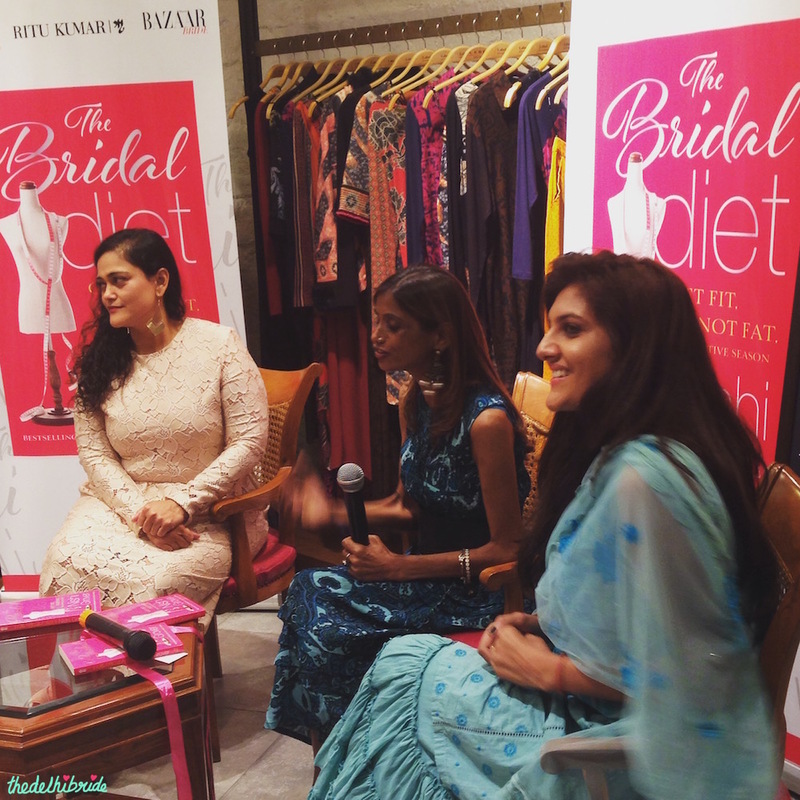 Both my team-mate and I thought it’s a pretty good book for brides, so when we were invited for the book’s launch at Ritu Kumar’s Khan market store, we knew we were RSVP’ing “yes”. 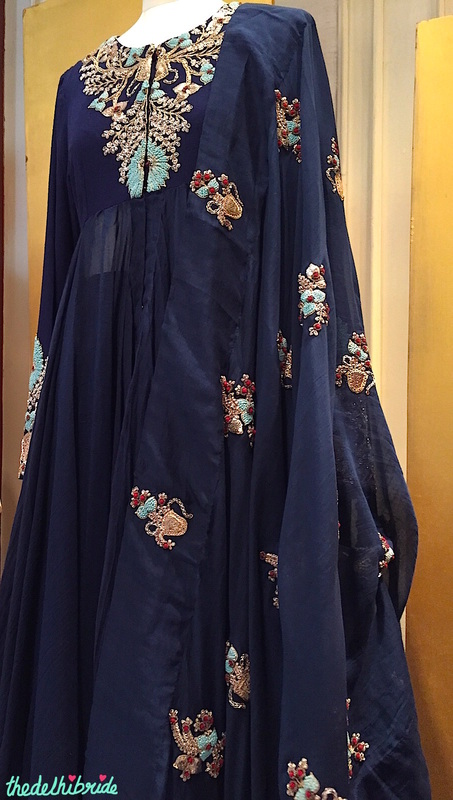 Ambika Anand and Kalli Purie, who are Nishi’s long-time clients, had a casual chat with her during high-tea, and I had a quick look around the store to spot some pretty Ritu Kumar clothes. If you’re following me on Snapchat, you’ve already seen these. 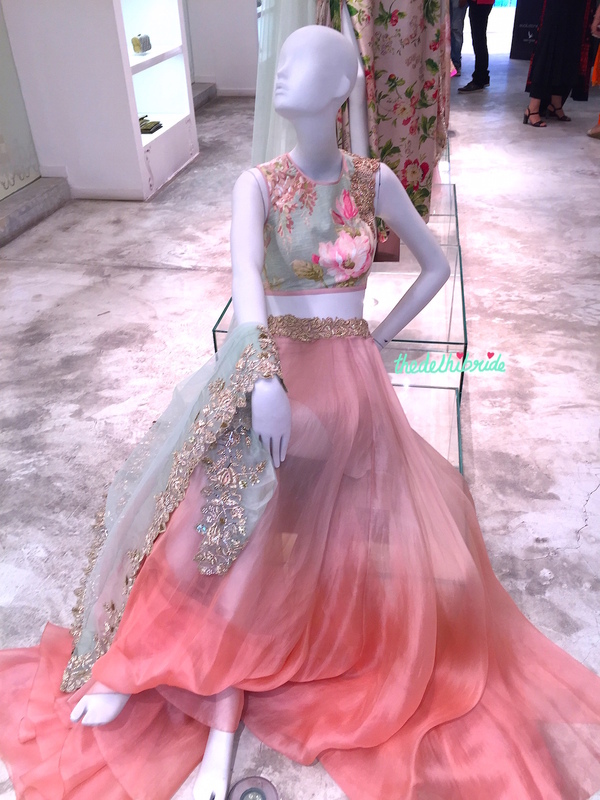 Loved this Yashodhara beauty too! It was from Sugar Stories (a Gurgaon-based bakery) and was absolutely delicious. This was the first baby shower I had ever attended, and I really enjoyed helping out with the organizing. It left me wondering if soon I will be adding a Baby Showers section to the blog, as I will naturally soon have more and more people around me start to have babies 🙂 Have any of you attended a baby shower yet? Hi Shinjini.. 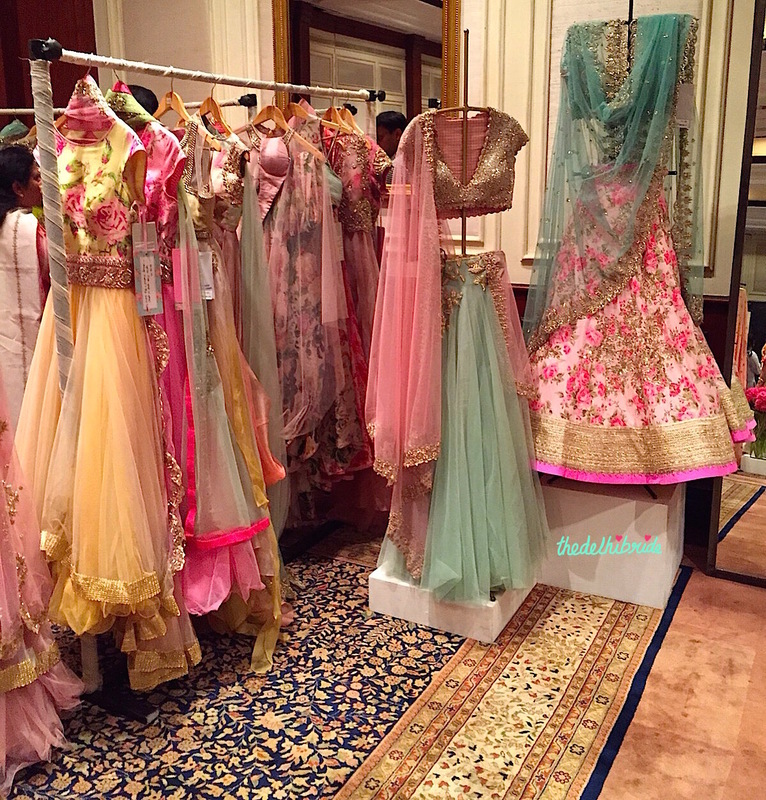 Please write a post for new brides for their first diwali (dress, make up & related things). Hey! can u plz suggest some designers for outfit for ring ceremony under 20k mark.. So many gorgeous clothes and ideas! 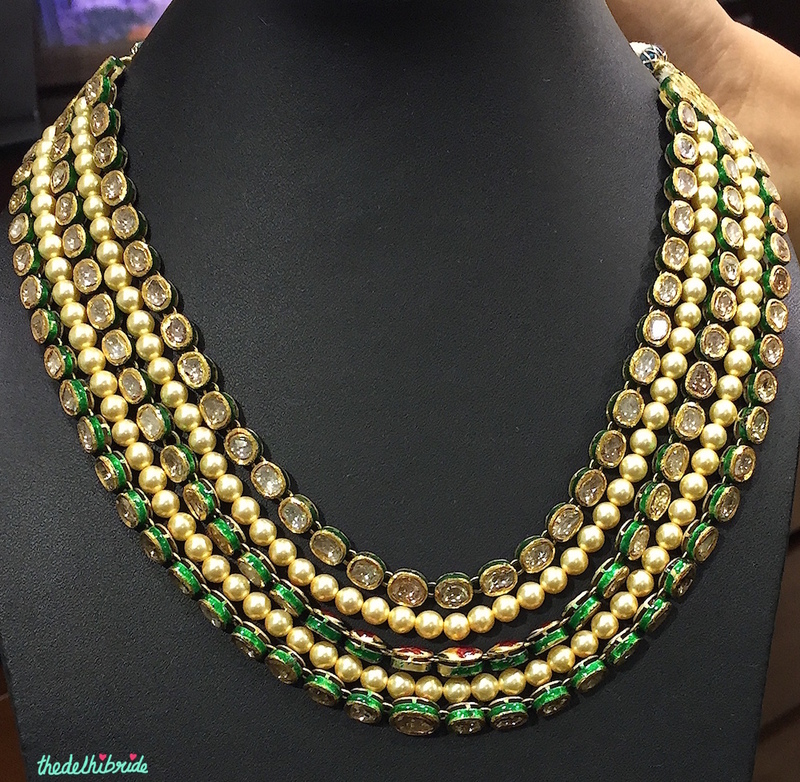 And that green neckalce with the kundan and pearls is exactly what I am looking for to pair with a saree for a wedding event later on in the year. 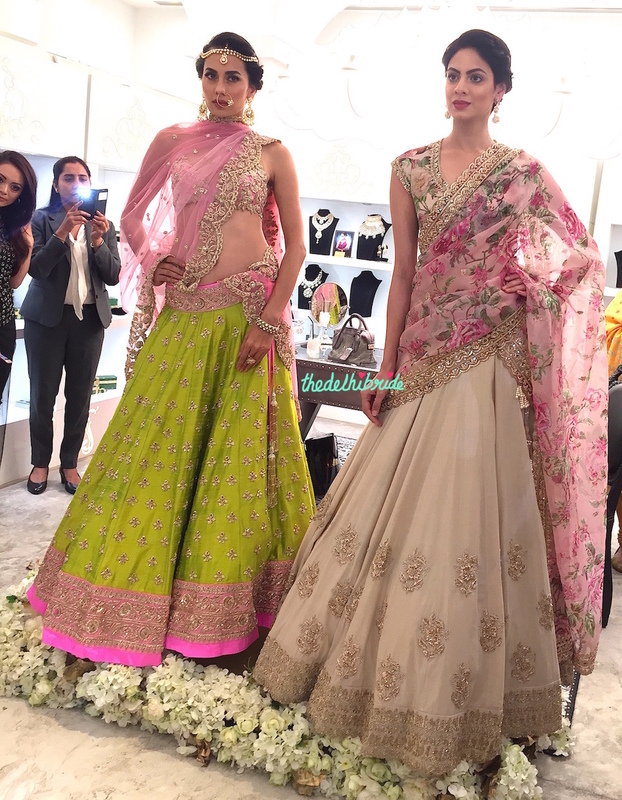 How much do wedding accessories and quirky props from Rani Pink cost (ballpark) ? Hi Shinjini.. I have been following ur blog since the begining and I m in love with ur writings.. I live in Dubai and I really wanted to start blogging.. It will be great if you cud share ur journey as a blogger ..when u started blogging did u know that it cud become a career and not just a hobby…?? Please share ur story .. I m sure all the budding bloggers will get inspired by you .. Thanks for the wonderful collection. I’m eagerly waiting for you to post other collections. Never miss a post! Get a notification every time I hit publish.